[post_ads]For now, Yosemite Valley, Wawona, and Mariposa Grove—all on the west side of the park—are closed until further notice, leaving just one entrance to the park, Tioga Pass on the east side, open for visitors. While the fire is affecting visibility and access to the most popular parts, Yosemite is a whopping 1,169 square miles, with plenty of beautiful areas and trails still accessible along Tioga Road up to the White Wolf Campground. Tenaya Lake, Yosemite's largest natural lake, remains open to kayakers and swimmers, and you can hike around Lembert Dome, a granite formation popular with climbers in Tuolumne Meadows. The Ferguson Fire isn't the only one California firefighters are battling. California's largest wildfire in history is still tearing through the state's northeastern Mendocino County, having burned more than 290,000 acres so far. 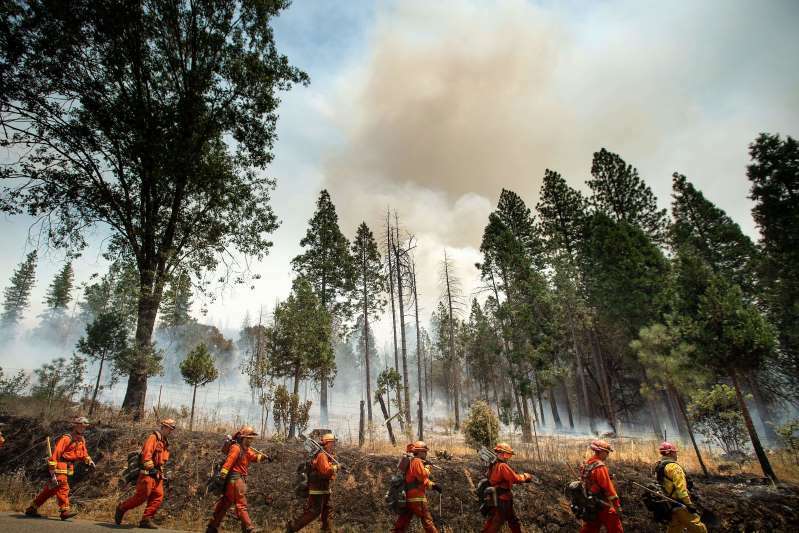 Other smaller fires have popped up much closer to Yosemite, in nearby national forests. For a full update on wildfire notices, in and outside of national parks, check out the National Wildfire Coordinating Group's incident map. That being said, other national parks and forests in the area are operating as usual, meaning you don't have to cancel your outdoor adventure just yet. Sequoia and King's Canyon National Parks, both known for their impossibly tall sequoia trees, are open to hikers, mountain climbers, and scenic-overlook lovers. National forests and parks around Lake Tahoe—including El Dorado National Forest, Humboldt-Toiyabe National Forest, and Tahoe National Forest—are all relatively fire-free.